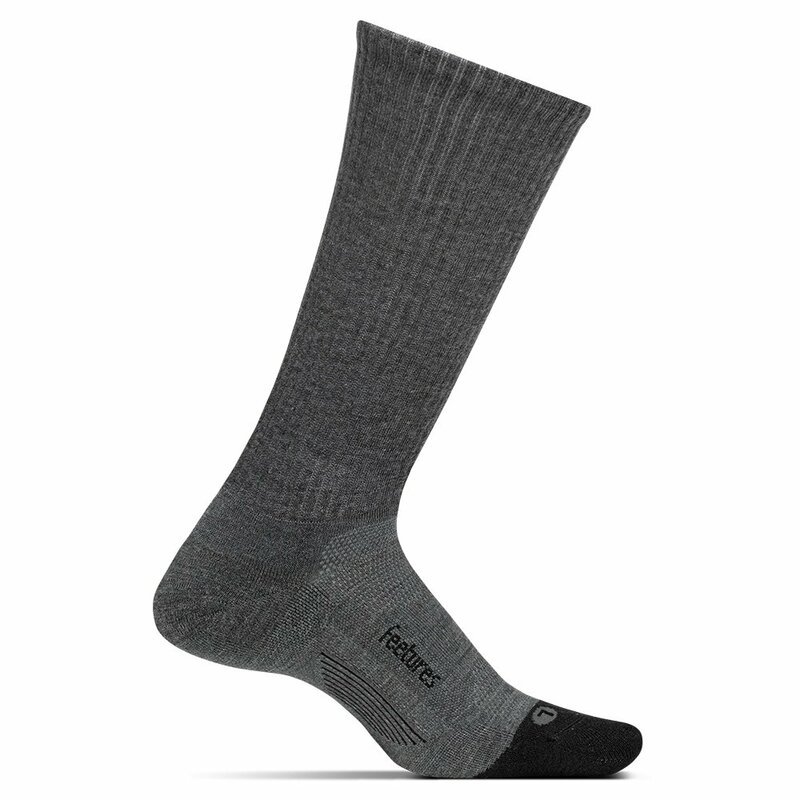 Great for any activity or sport, the Feetures Merino 10 Cushioned Crew Running Sock is a technically advanced sock with maximum cushioning. Merino wool and Tencel® are a perfect blend of performance and comfort as they offer quality moisture-wicking capabilities, while also keeping you dry and odor free. Since your feet are taking you where you want to go, you have to treat them right. That's why these socks also feature a seamless toe to prevent chafing, targeted compression for improved comfort, and anatomical design, so you always have a perfect fit.